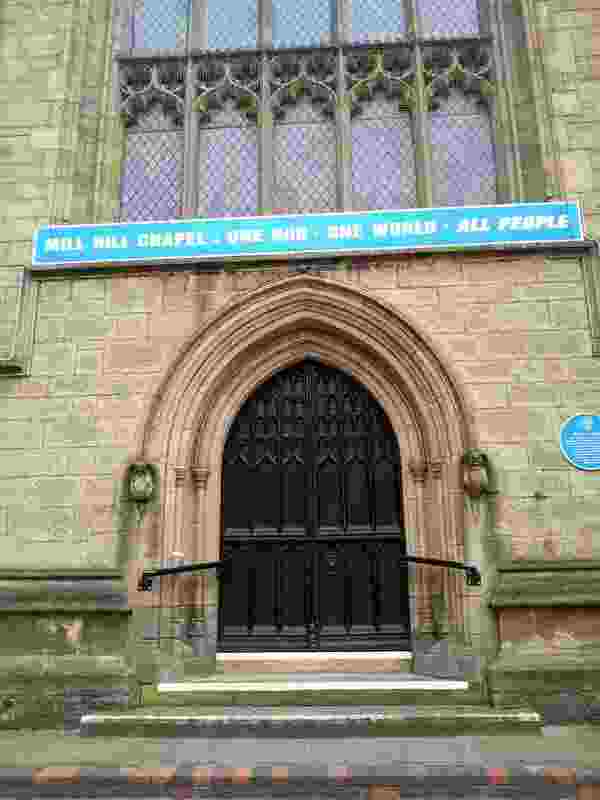 Greetings friends, we are pleased to announce that The Mill Hill Unitarian Chapel have welcomed the vegan approach in serving the homeless. Although nutrition is merely one element of our needs it is nevertheless a significant one as it effects not only our physical/mental health and emotional well-being, but what we consume also impacts on the world around us often serving to sustain inequality in multiple ways. As such, our approach focus on health & equality and is all about counter acting the dynamic forces that give rise to oppression and poverty. For example, although we currently rely on people to donate ingredients we nevertheless aspire to grow all our own organic food at our community kitchen garden which itself aims to provide opportunity to educate, vegucate and support mental health. 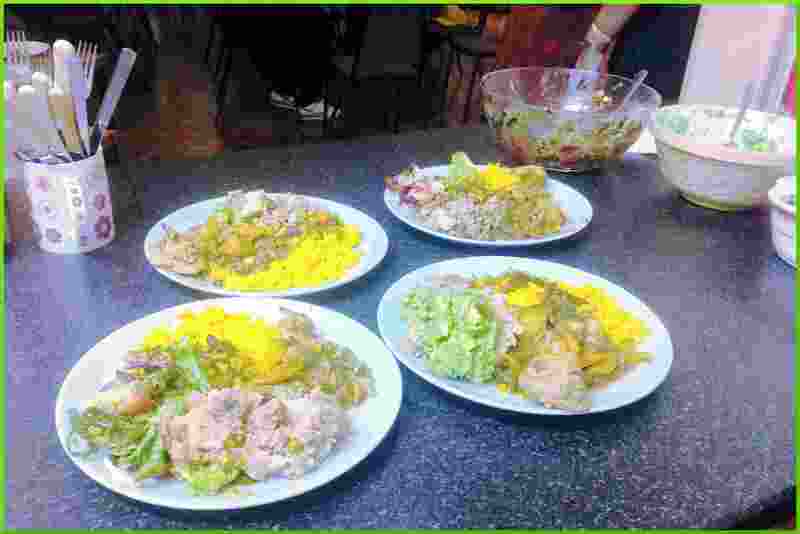 Since engaging with the homeless over the last couple of years we’ve made multiple observations some of which we seek to address through the development of ‘the great vegan feast’. Firstly we discourage the handing out of loose change to people out begging, as in many cases it is spent on substances detrimental to their health and well-being. 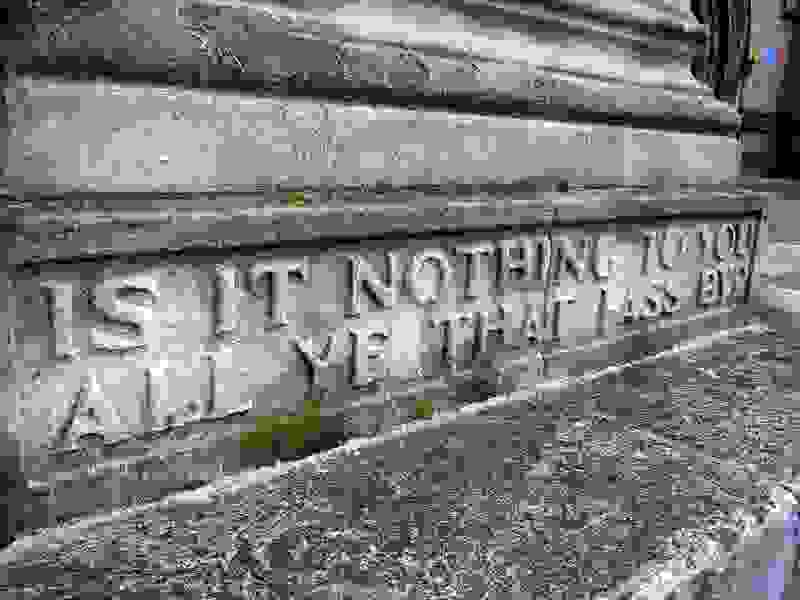 Of course not always can it be assumed that any monies acquired will facilitate substance abuse, hence we strongly defend the right to beg and recognise that in protecting this right vulnerable people such as those sleeping rough are less likely to put others at risk, commit petty crime, or fall into prostitution. 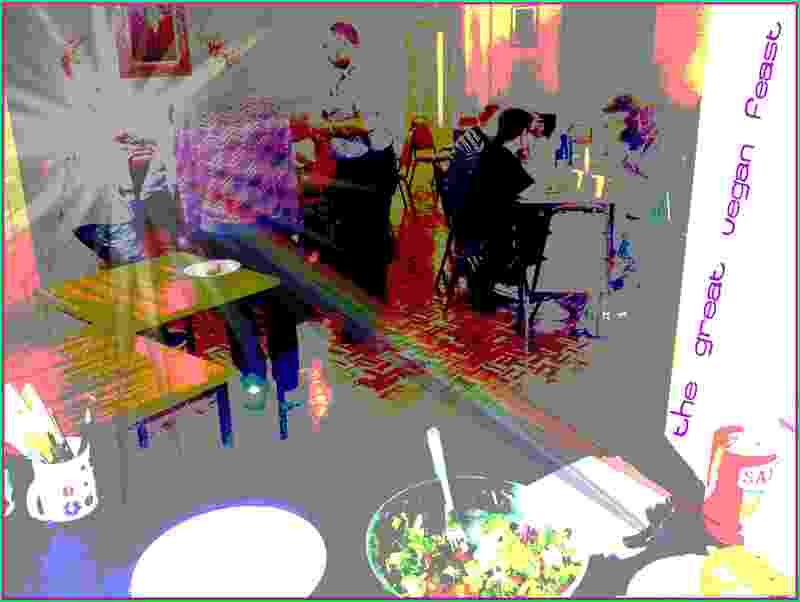 Hence the great vegan feast seeks to invite people from off the street and into the sanctuary of the Mill Hill Chapel to taste some good and company. It is well documented that the homeless are malnourished and as such suffer from declining health. 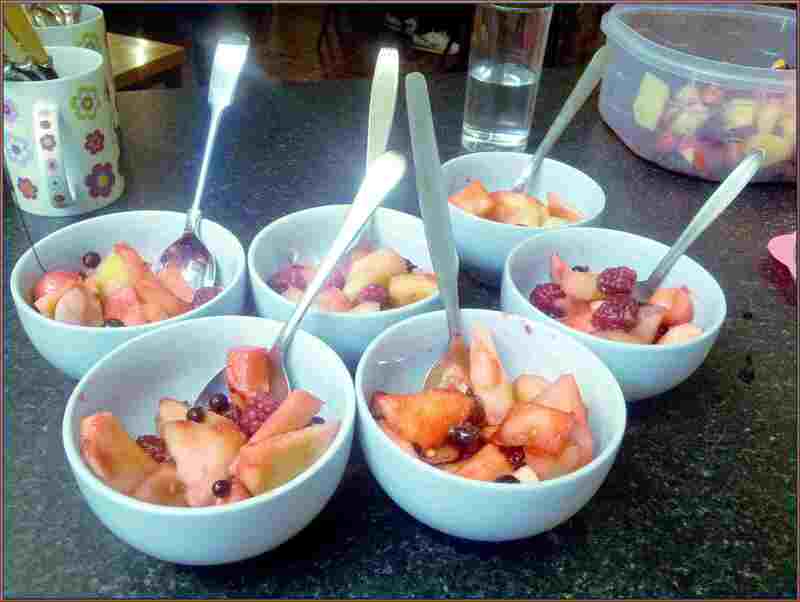 Over the course of our service we have observed people or groups putting on food for the homeless unfortunately consisting of some of the most unhealthiest food available. Namely animal based foods, sandwiches consisting of meats and/or dairy, deep fried chicken, cheese pizzas, McDonalds and all manner of junk food and fizzy drinks. These may provide some degree of energy for consumers but unfortunately in addition to the animal cruelty such foods imply, they also add to the detrimental malnourishment and declining health of the poor, in particular, the homeless. Incidentally, the vegan feast seeks to share only cruelty free food that is wholesome, free from saturated fats, low in salt, high in fibre and highly nutritious. Furthermore, the emphasis is not so much on the homeless but rather on inclusiveness, and our invitation is an open one to everyone, no issues can arise as to whether the meat has been prepared this way or that way, to this standard or that, as all our contributions are completely animal free. We see inclusiveness and optimal health as virtues of sharing cruelty free, plant based food. Moreover, not only are omnivores able to benefit from the plant based goodness we share but so too are regular veggies since there’s nothing on the menu that runs contrary to their ethics. It turns out that excluding all animal derived products from the menu takes us a step closer to achieving the kind of universal love that humanity beckons. The great vegan feast does not compromise choice but rather increases it, stimulating creativity and shedding light on the practicality of preparing and sharing a great variety of plant based cruelty free food. So whether you’d like to sample some healthy vegan food, serve the needy or make new friends, why not join us for the great vegan feast? 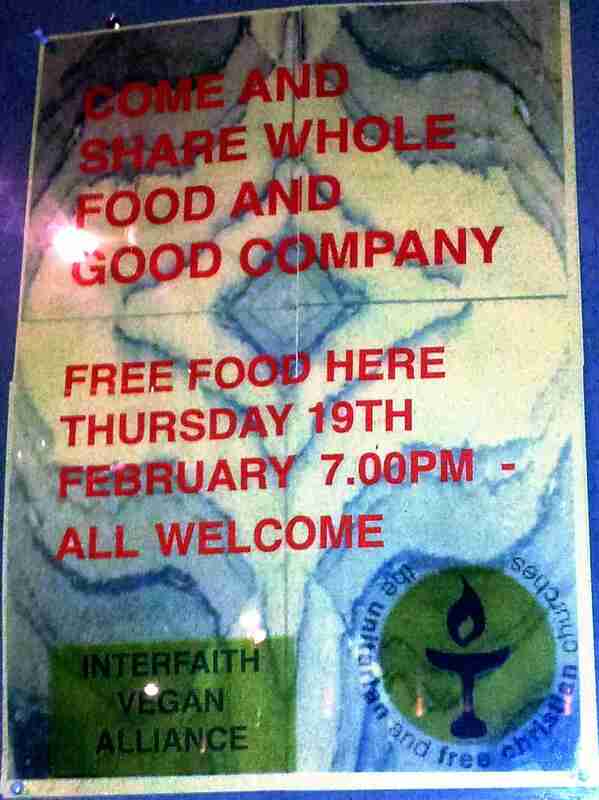 Where possible people are encouraged to bring a vegan dish to share. We hope there will be an increasing variety of great food to share as we progress. We are hoping to share food from around 4:30 PM but it’ll be great if volunteers can come earlier, we’ll begin preparing from 3:30 PM. The is expected to take place on the the third Thursday of the month. See you there! Note, as we are operating on a shoe string budget we have had to appeal for food/cash donations to help organise the feast. We have approached various high-street supermarkets such as Morrisons, Tescos, Aldi’s and Lidl to name but a few and asked whether they will donate a small quantity of food before they dispose of them. We can confirm their ruthlessness in deliberately making food that is otherwise perfectly edible and could be used to help feed the homeless completely inaccessible. Please get in touch for more information. Anyone who would like to donate can find more information here. This concludes our observations for now. Stay tuned. 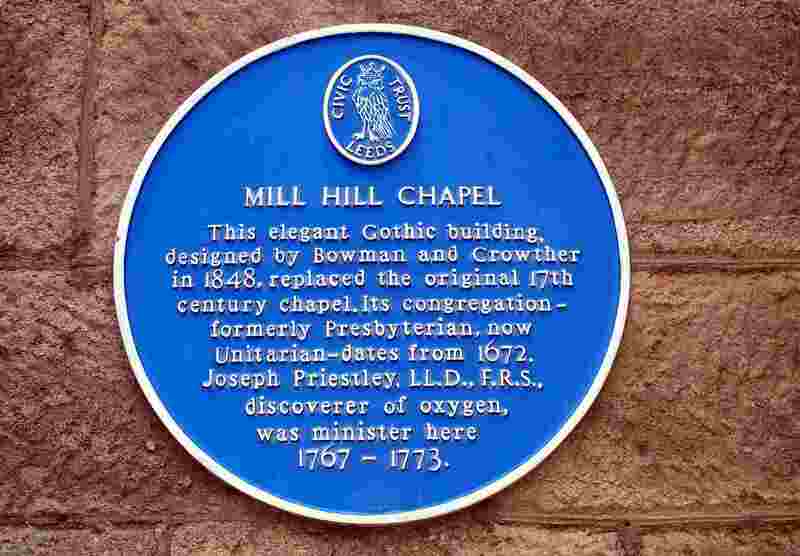 The Mill Hill Chapel has historically being at the centre of change and played a key role in the development of Leeds, from Town to City since the 17th Century. 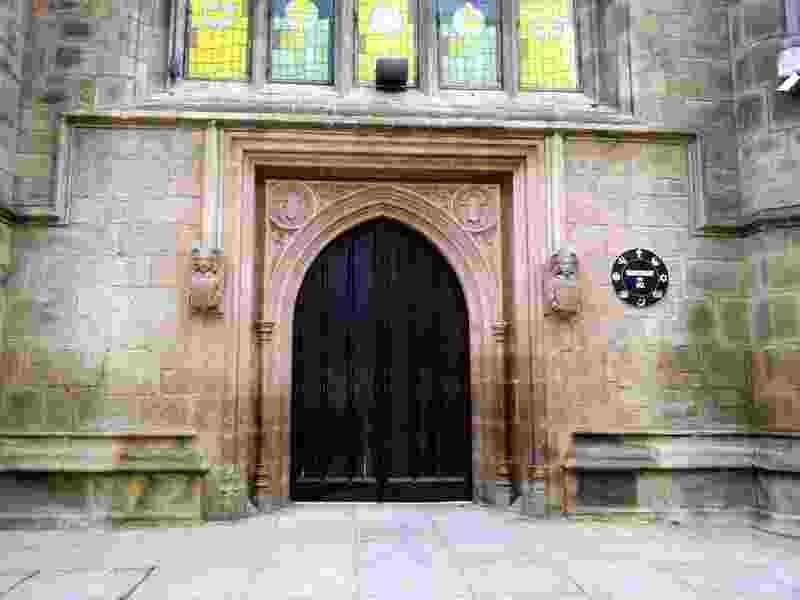 In 1848 the church was redesigned by Henry Bowman and J. S. Crowther in the Dissenting Gothic style and has been a Grade II listed building since 1963. Although Christianity is the foundation of Unitarianism it should be said that Unitarianism has actually become a multi-faith phenomena and is constituted of people from many different religions as well as many atheists. 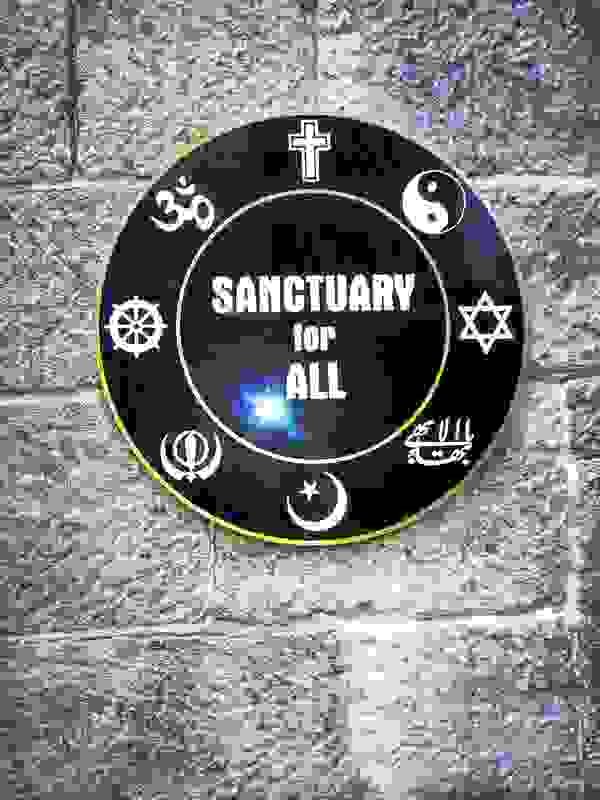 For anyone interested in a place that embraces people of all faiths or none would be well advised to pay a visit to Mill Hill, or any local Unitarian church, ‘Sanctuary of All‘. A lot more could be said about the dissenting history of Universal Unitarianism, but we’d like to focus on the future and note that, not only do they exercise a policy of none prejudice with regard to class, race, gender, sexual orientation, ability, belief and so forth, however it is evident that more and more Unitarians are rightly adapting Universalist principles to include non-human animals into their circles of compassion, click here for more information. Leading up to Christmas 2014, and almost a year to the day that we begun serving homeless people in Leeds, we approached numerous churches that might be willing to help facilitate our work. 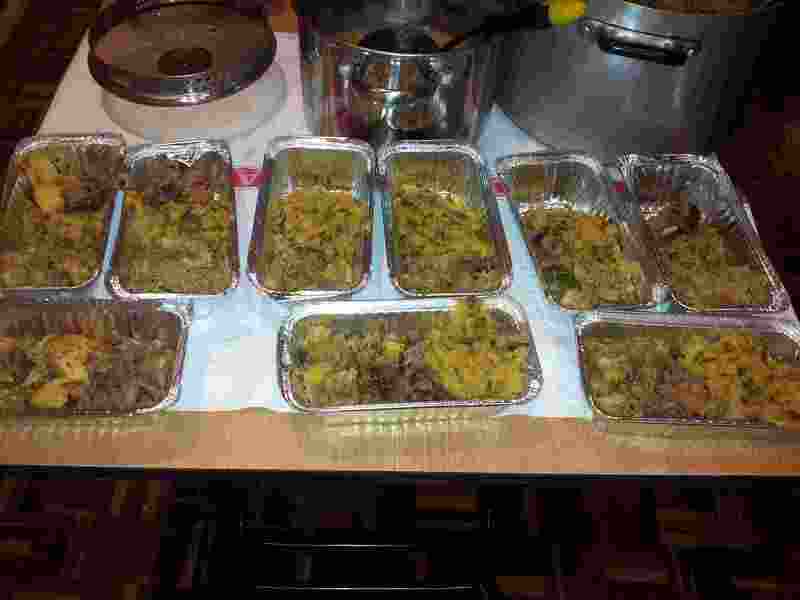 Prior to this we served most of our food through Leeds with the homeless who we continue to support, however, during their November session they announced that they’d be holding a ‘sit down’ Christmas dinner on the 26th of December instead of the running buffet which they usually have, and so they explained that they did not require any food contributions on this occasion. Since we are in the habit of delivering food parcels to rough sleepers that remain on the town streets for various reasons, it was felt that we should keep up with this ‘tradition’ during Christmas. The group reasoned that Christmas Eve might find a fair few rough sleepers on the streets. And so we wanted a safe place where we could assemble for the outreach. 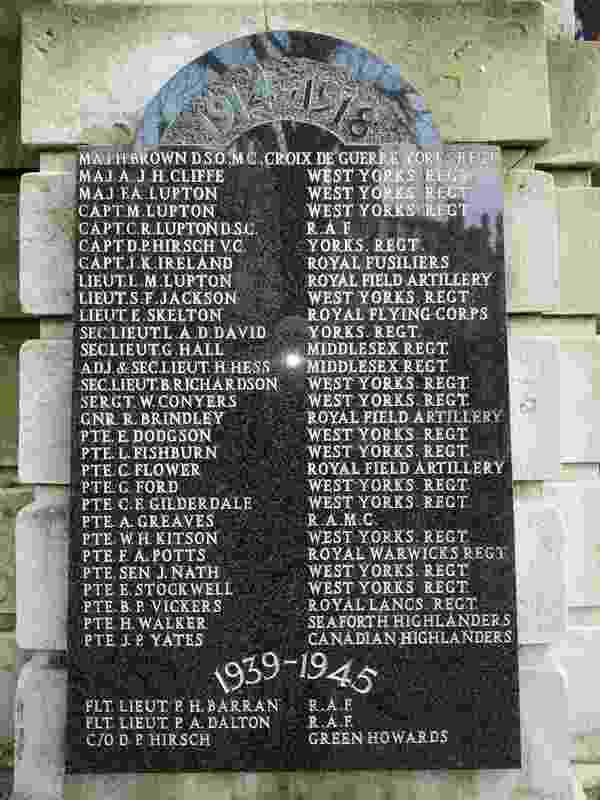 We found that some Churches were either none willing or unable to support us. 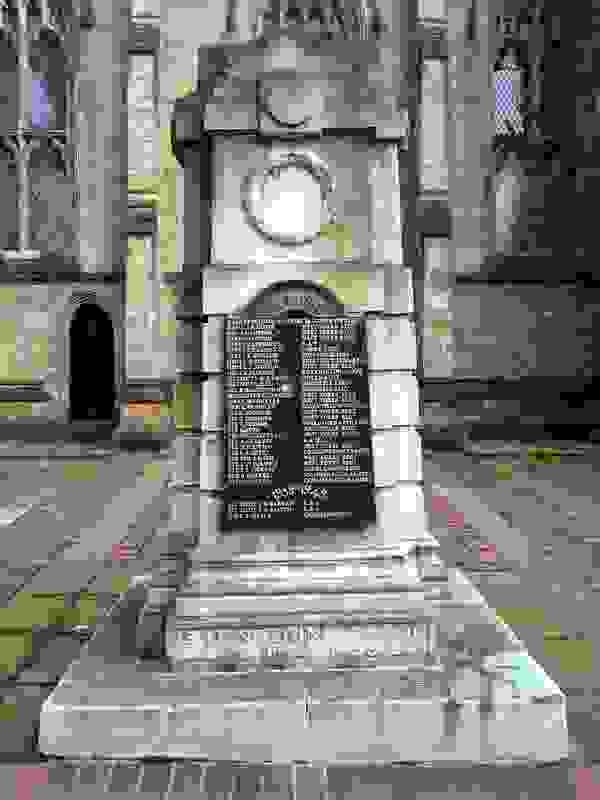 Other churches were more sympathetic and were prepared to facilitate us to some extent, but one that was particularly receptive to our cause was the Mill Hill Unitarian Chapel, Park Square. 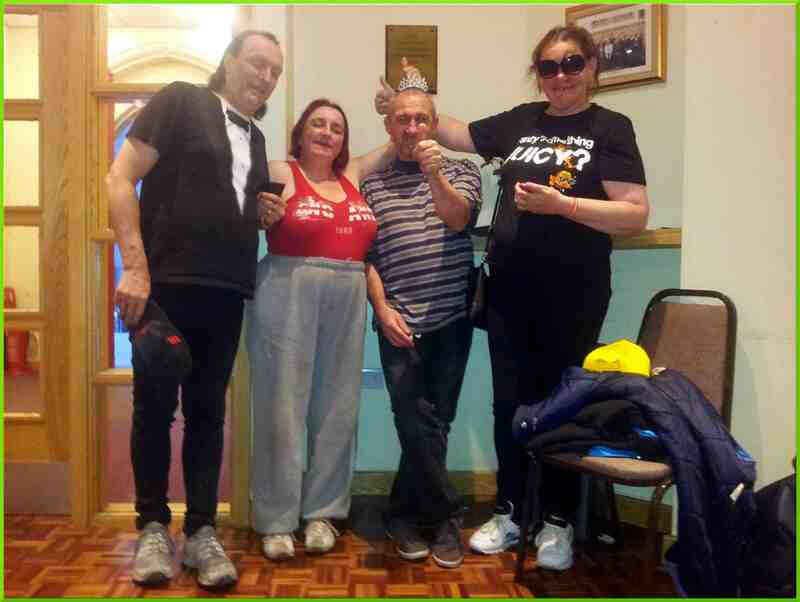 It’s congregation had recently appointed a new Minister, Reverend Jo James who was considerate of our circumstances and positive about our desire to help provide plant based wholesome food for those who need it most. 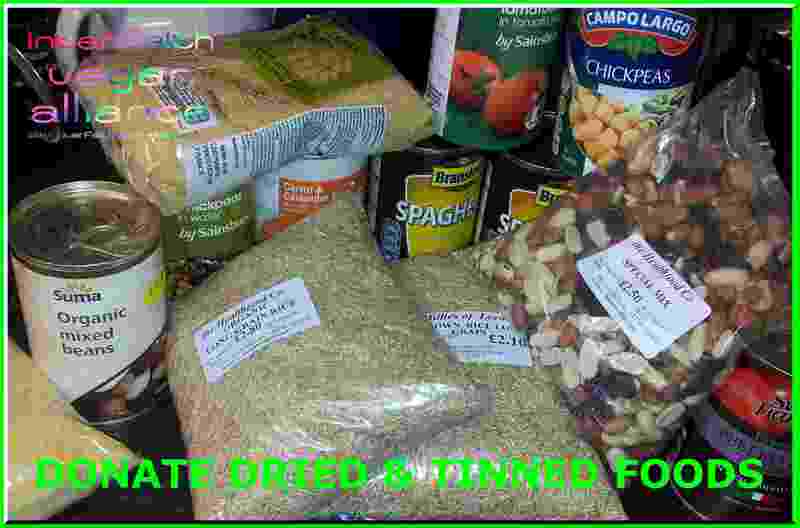 While they frequently enjoy fast and fatty low quality foods that are charitably bought or provided for them, homeless people typically lack access to good plant based healthy whole-foods which in part is a consequence of being homeless, but those who provide food must also take part responsibility and move towards wholesome plant based nutrition. Like the majority, homeless people cannot resist finger licking fast & fatty junk food, and if that is all that is on offer then that is what they will take. Sadly, the majority of homeless people, especially rough sleepers are already malnourished and suffering from multiple health conditions which serves to reinforce their disparate situation and the vicious circles in which they are in. By using plant based ingredients we strive to maximise nutrition for those who need it most.